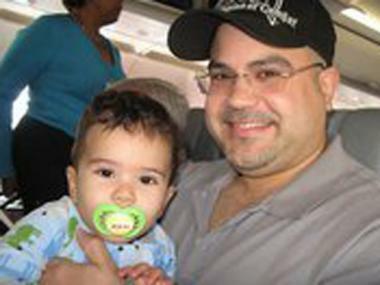 John Collado, with his grandchild, was shot and killed by a police officer on Sept. 7, 2011. INWOOD — An Inwood grandfather and former wrestler who was shot while trying to intervene in an undercover drug bust died Wednesday — and uptown officials are calling for a thorough investigation. John Collado, 43, who has a 2-year-old, was shot in the stomach by a plainclothes police officer Tuesday afternoon, the NYPD said. He was initially listed in stable condition in Harlem Hospital, but took a turn for the worse overnight. Police said that a detective shot Collado outside of a building on Post Avenue in Inwood after he grabbed the officer from behind and put him in a choke hold while the cop was arresting a 23-year-old man suspected of being involved in a drug deal. But Collado's son, John Collado Jr., said his dad didn't know the man was a detective, since he was not in uniform, and was just trying to protect a young man he knew from the neighborhood. "If he said he was a cop, my dad would have stopped," said Collado Jr. Tuesday. The 23-year-old drug suspect was arrested after the shooting but had not been charged as of Wednesday night. Police said that Collado, a former high school wrestler, was not involved in the drug buy. In the wake of the shooting, local politicians called for a thorough investigation. "Along with the other local elected officials, I will be working to make sure that this investigation presents its findings as quickly as possible," said Councilman Ydanis Rodriguez Wednesday. "Our community is going to have a lot of questions about what occurred in the moments before an NYPD detective shot Mr. Collado, but I ask that everyone hold off on passing judgment until a full investigation can take place." The family also plans to file a wrongful death suit against the police department, the Daily News reported Wednesday. Cops say Collado severely injured the officer during the confrontation, according to the News. "The cops who responded described [the detective] as barely conscious," Deputy Commissioner Paul Browne said. "He was nearly choked out and his limbs were numb." But friends said that Collado was not the type of person to assault a police officer. "This guy wasn't one to go at a cop like that. 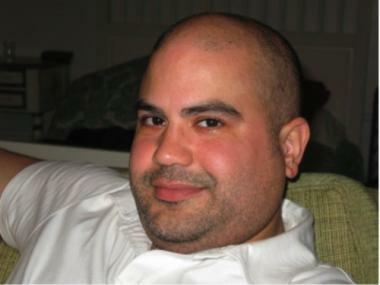 So out of character," said Inwood resident Mike Jimenez, 40. "Maybe Johnny saw him getting a little rough, felt threatened and put him in a choke hold, and that’s when everything happened." Collado's Facebook profile even showed him belonging to a pro-police group. Some said that they were afraid Collado's name would be tarnished. "I am worried that people will blame the cops and the cops will taint Johnny's name," said a friend of Collado's who grew up on Post Avenue and asked to remain anonymous. "The ones to blame are the drug dealers for creating the situation." Childhood friend Araina Sepulveda-Moreiras described Collado as a hard-working family man. "He was the greatest guy on earth and it is very sad. He was an ally for the cops, he used to keep the disruptions down. The kids knew not to mess around with him," she added. "He is the one person you expected to grow old. It is a loss for the community." Collado's niece, Banayz Taveras, 27, a hospital worker, tried to help her uncle but ended up getting arrested for refusing to leave the scene, according to court papers. She was charged with disorderly conduct after being arraigned in Manhattan Criminal Court Wednesday. A NYPD spokesman said all police-involved shootings are investigated.